It's Thanksgiving. And that means a lot of us pretend we like turkey for a day. So for this week's Shooting Challenge, let's celebrate that poor bird and photograph it. Take a hero shot of your turkey. Or your tofurkey. First step, roast a turkey. Second step, let it cool a bit (steam will get in your lens). Don't worry, your family won't care if the turkey is cold. Turkey tastes horrible. Even fancy brined turkeys. Sorry. It's true. 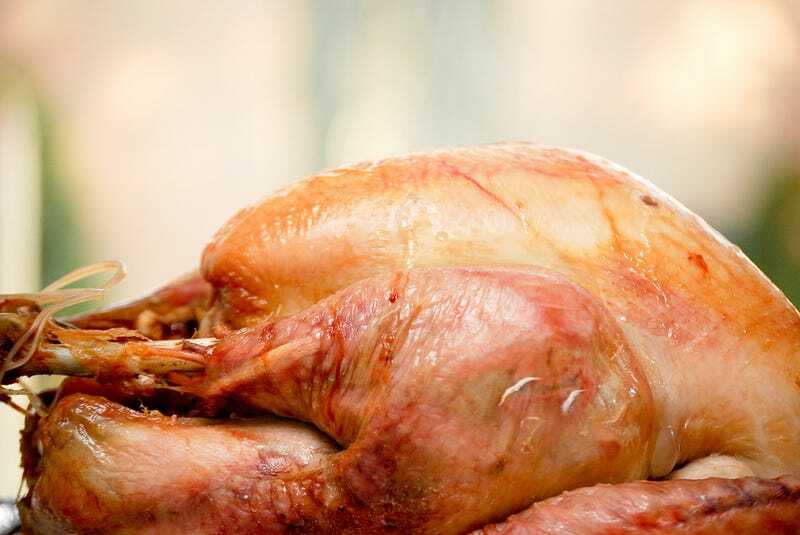 Nobody cares that you brined your turkey. You might as well microwave it. But they're excited for stuffing, potatoes, and pie! And maybe even that weird marshmallow thing you make! Third step, read this food photography tutorial at the BBC, or this one from Nat Geo. (Actually, maybe reading is step zero. But you get where I'm going with this.) My one-line tip? Always photography by natural light. Step four/three/whatever, photograph the turkey. Our lead image, by flickr's Steve Johnson, captures the turkey in its trademark profile. Go this direction or another, just do your thing. Send your best photo by Monday, December 1st at 10 AM Eastern to contests@gizmodo.com with "Turkey" in the subject line. Save your files as JPGs, and use a FirstnameLastnameTurkey.jpg (970px wide) and FirstnameLastnameTurkeyWallpaper.jpg (2560px wide) naming conventions.